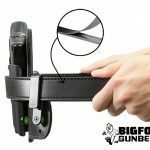 Bigfoot Gun Belts promised no sagging and elite support, which challenged skeptics & reviewers to reveal the true quality of a gun belt built to last. 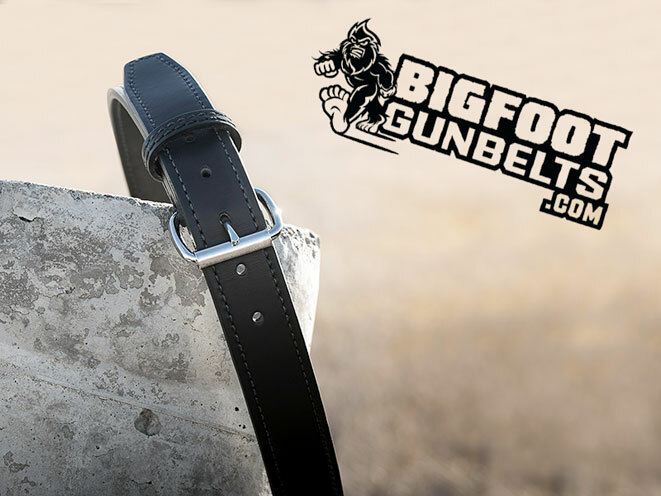 Bigfoot Gun Belts promised no sagging and elite support, which challenged skeptics and reviewers to test the limits and ultimately reveal the true quality of a gun belt built to last. 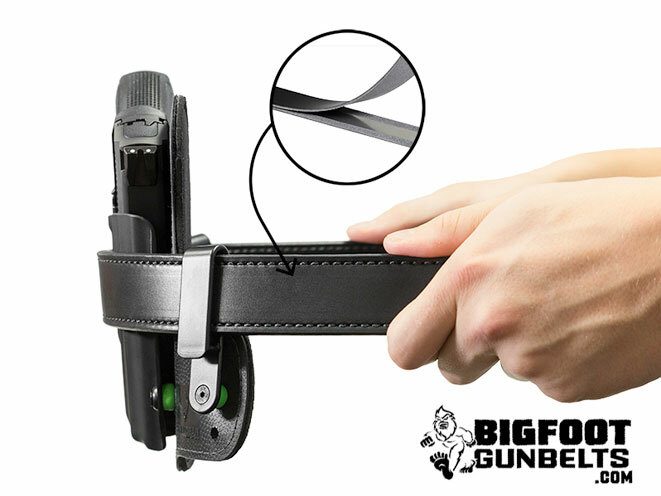 Reviewers used creative and unique ways to test the abilities of the gun belt, some choosing extreme measures and others choosing to just wear the gun belt on a daily basis. 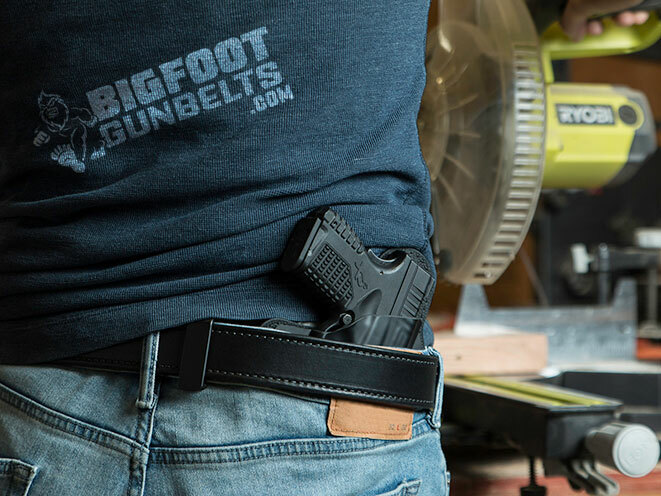 Marine Corps veteran and author of Concealed Nation James England reviewed the gun belt quality including the leather, durability of the steel core and strength of the military grade thread through a series of what he called “torture tests.” Extreme singeing, sawing and smoldering helped James England determine his gun belt review findings. 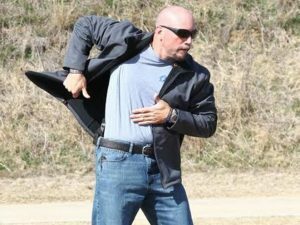 Reno firearms examiner and writer for the Examiner.com Mike Searson complemented the unfailing support of the gun belt after testing it with several heavier pistols and guns, including a few N-frame Smith & Wesson Magnum revolvers. 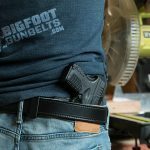 Popular YouTube channel producers of Fire Mountain Outdoors Mark Spreadborough and Bob Crimson reviewed the gun belt in a more practical way, during work and through a hunting season. 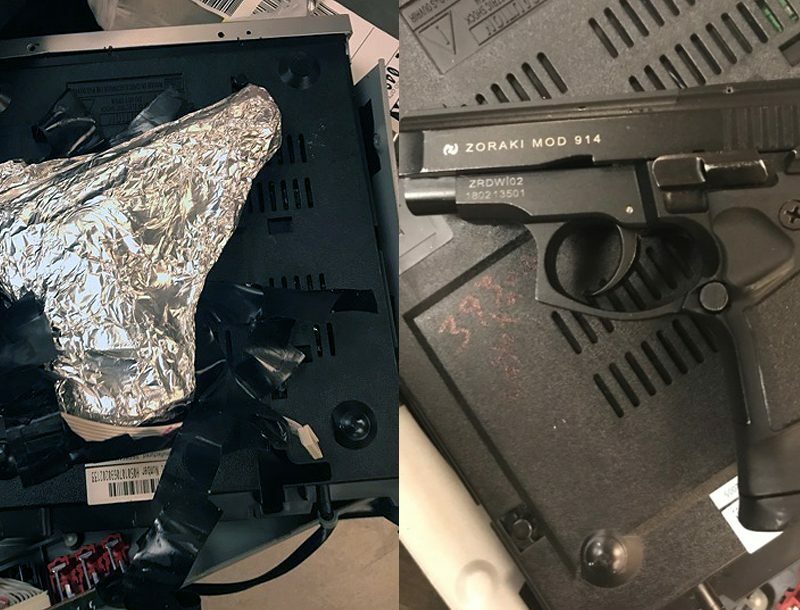 The YouTube channel’s co-host agreed with Crimson’s findings. 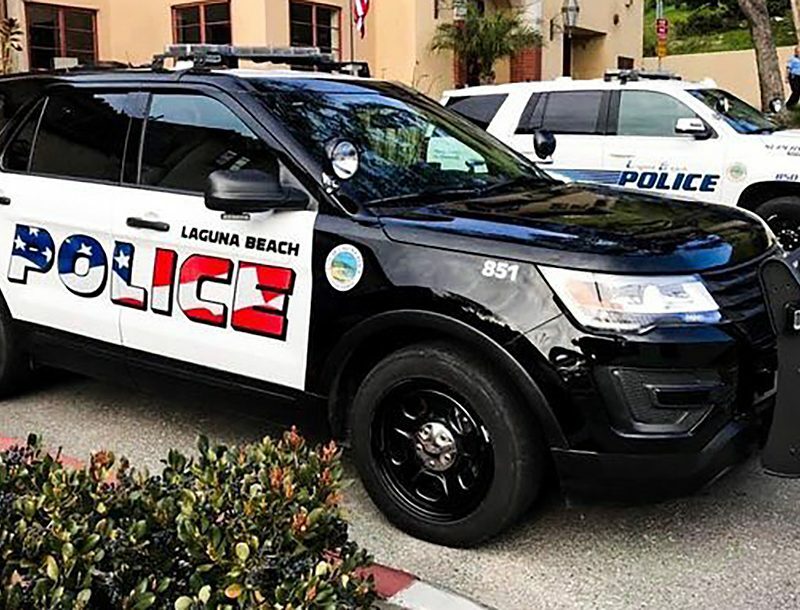 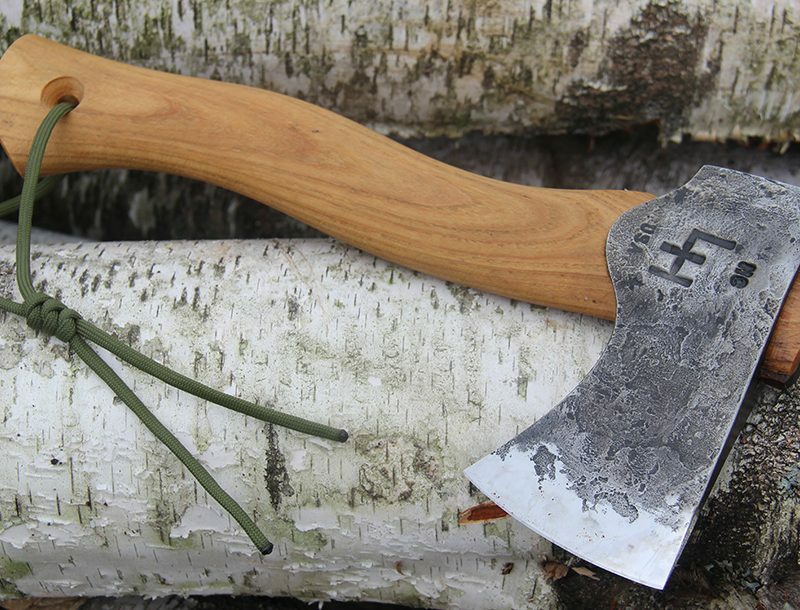 “I fully expect that this should last me a lifetime,” Spreadborough said. 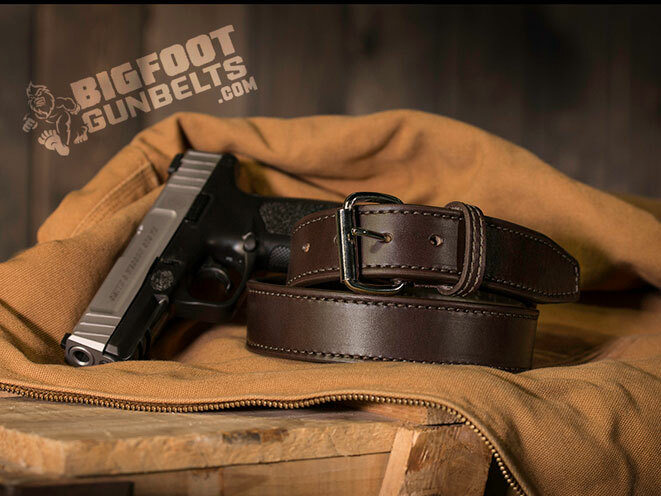 Nestled between the pines of North Idaho, Bigfoot Gun Belts is proud to call the Inland Northwest home. 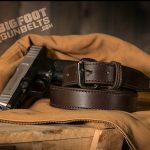 This privately owned and operated company produces only the highest quality gun belts at an affordable price. 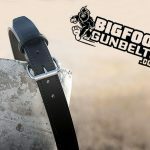 For more information about Bigfoot Gun Belts, visit our website http://www.Gunbelts.com.